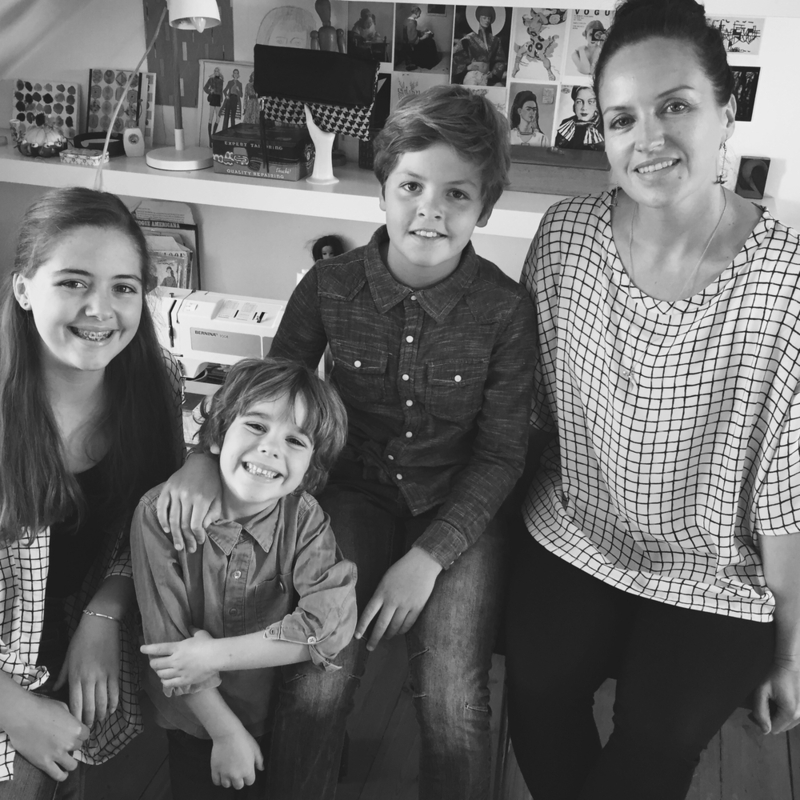 I am Naomi Purkiss, mother to Orson (6), Ludo (12) and Esme (14). 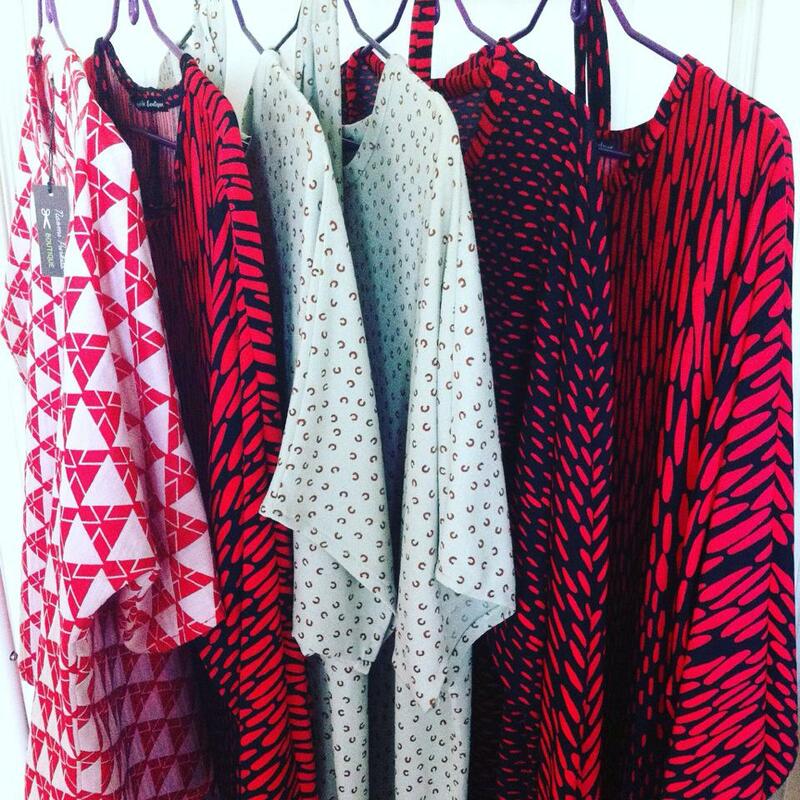 I am a clothes designer and fabric addict, and run the Naomi Purkiss Boutique (NPB) from my home studio in Herne Hill. What is NPB and why did you set it up? I design and make clothing and accessories in carefully sourced, vintage or limited run fabrics, some garments are one off. I stock in local outlets, and also run events where customers can buy directly from me, either from the rail or by selecting their fabric and placing an order. I offer a 'Choose Your Length' option on dresses, knowing how difficult it can be to find the perfect length. I used to work as a set and costume designer but chose to focus on motherhood rather than juggle with the unsociable and erratic hours. Still needing a creative outlet, I started making accessories with my ever growing collection of vintage fabrics. My clutch bags were selling in local boutiques when the owner of White Feather, Milkwood Road, asked me to also design some items of clothing for her store. I started with a collection of tops and was delighted when they proved popular. Since then I have added frocks, kimonos, tunics, kaftans and jackets to the NPB range. I try to work around the family and hope to build NPB gradually and not be tempted to expand too soon. I do find though that I am sometimes distracted by work, and I can give myself a hard time if my kids aren't getting enough of my attention, or if dinner is late! At very busy times I ask for help - my Mum is a great support and friends are there for school pick ups etc. I spent a long time trying to be the perfect mother, but grew to realise there was no such thing! I am a born and bred South Londoner but never take living here for granted. I feel incredibly lucky to live in such a vibrant, friendly area - there's just so much going on. The fact that Central London is so easy to get to is an added bonus. There is a great feeling of community and I love that my children are growing up in such a cosmopolitan and cultural environment. Can you share one secret tip for other mothers in this area? We love exploring the surrounding neighbourhoods and have enjoyed walks in the Norwood Cemetery and Sydenham Woods; meals at The Peckham Bazaar and The Begging Bowl and nights out at The Portico Gallery in West Norwood and The Bussey Building in Peckham. The next TOP NIGHT event will be on Thursday 15th October 8-10.30pm in Herne Hill - it is always a fun evening with wine and nibbles and discounts on offer, plus a good opportunity to get first dibs on the latest fabrics. From November, Naomi will be running 'FITTING ROOM FRIDAYS' where customers can come to her studio, try garments to purchase or choose fabrics and place an order. By appointment only, small groups welcome. Book a session via: naomipurkissboutique@gmail.com or 07780 683 474. Naomi will be offering 10% off all non sale clothing on FITTING ROOM FRIDAYs during the month of November. Please quote 'The Mamahood' when booking.